Yesterday, as I was giving a presentation for work, I was bombarded with FB messages and texts from friends getting nervous and needing reassurance to register for Star Wars weekend. I already knew I'd be skipping out on this weekend this year, but I also knew it was a hugely popular race last year and really lived up to the hype. You can read about all of the fun I had at Star Wars weekend HERE and HERE. Last year was a quick sell-out (under an hour and closer to the half hour mark) and the expo left no merchandise to be had the day after it opened. All the signs of a wildly popular runDisney race...otherwise known as the new normal these days when it comes to runDisney! Then flip back to Avengers. 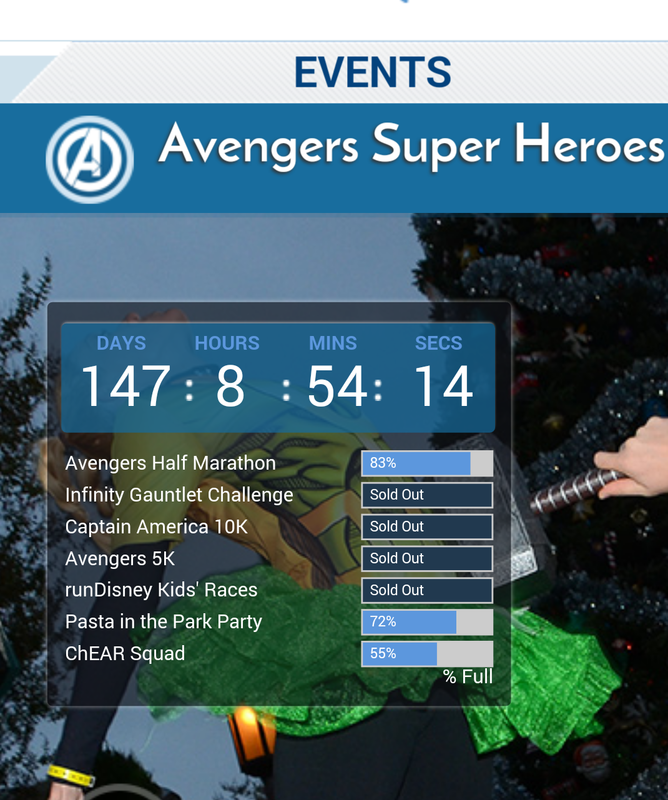 I skipped out on this race last year, but when the opportunity presented itself at Tink, I was right there giving over my credit card at the runDisney booth (see you in November!). They've priced out the market on the half marathon. 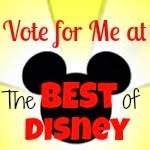 Let's face it...us crazy, loyal runDisney fans want to do the challenge and will pay whatever price. But take away the challenge and I'm starting to think the price has reached the tipping point where people aren't biting. Just to give some perspective, in 2010 I ran my first runDisney race (the Disneyland Half) and is was $95!!!! And I only registered about 3 months prior to race day!!! Yes...this is a TRUE STORY!!! That's an over 100% price increase in 6 years. It's a little much...Today's half marathon-er wants to run lots of races--so it goes back to price. Disneyland is a locals park, and locals have tons of options for other fun races. 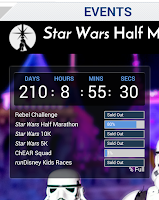 I can run 3 races for the price of Disney. Speaking of the crazy group called half marathoners, I think there is the factor of it's too much of a "fun run" for some. If I'm putting in 13.1 miles, I don't know that I always want it to be considered just a fun run. It's a lot of work, and I like to race against myself sometimes. 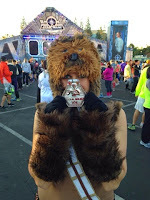 I've always said that you can totally PR at a Disney race, but I think that is getting less and less likely. Finally, with the addition of the 10k distance, runDisney is attracting a different runner. A more casual, beginner runner (before you send the hate mail...there's NOTHING wrong with that!). I think the 10k is giving people a great option to run a timed race with a "real" medal without having to jump to the half marathon distance. Disney has always been beginner and walker friendly. I think this distance is the perfect marriage for that. 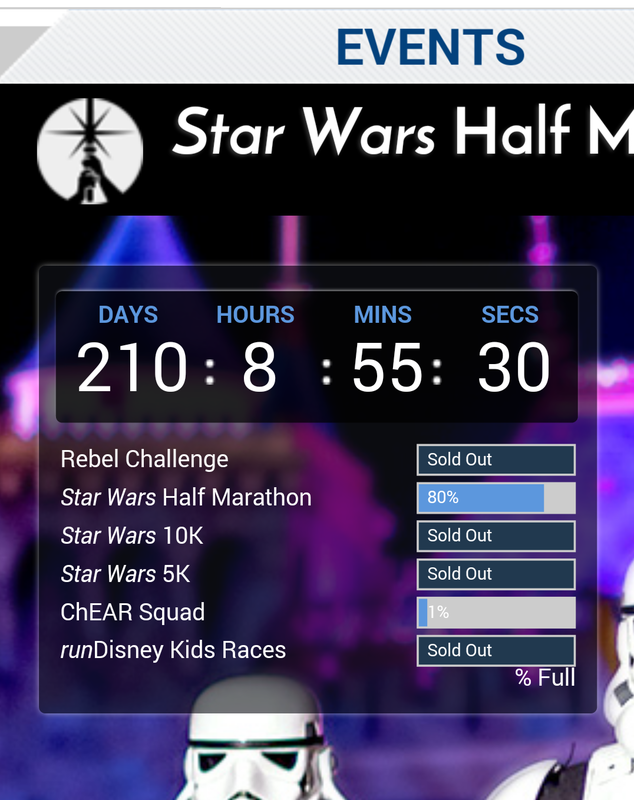 Maybe the future of runDisney is a larger field for the 10k races? Is this the end of the crazy registration days? I wouldn't count on it, but I can't wait to see what the next year of runDisney brings. For me, I loved being able to casually register for both Goofy and Avengers this past year at expos. So much less stress! But don't fret...when Dumbo registration day happens next year I'll be sweating it out at 8:55 just like everyone else. A girl's gotta have a legacy race, right? i wish they would move the 5k back to saturday. in 2016 i think we are only going to take the kids(8,5,3) out of school for star wars.